Yukon and Yana are a pair of Arctic Foxes at the Wolf Mountain Nature Center in Smyrna, NY. 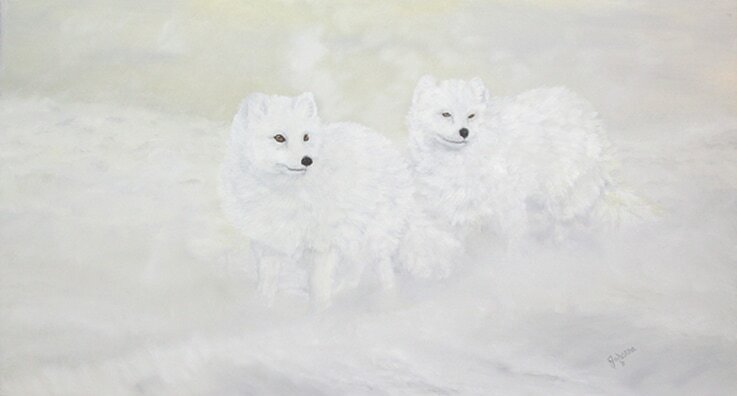 My goal for this painting of a pair of Arctic Foxes was to depict them in their natural habitat. Native tribes refer to Arctic Foxes as "Snow Ghosts of The North."